on Manhattan Blvd. in Harvey. Our address is 1901 Manhattan Blvd., Suite F-201. The office is located on the 2nd floor of Building “F,” which is the first one that you see, on the right, when you are coming from Lapalco Blvd. The parking is convenient, and the elevator brings you right to our front door! CLICK HERE for MAP. 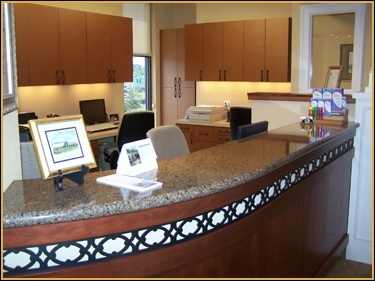 This is our reception area. 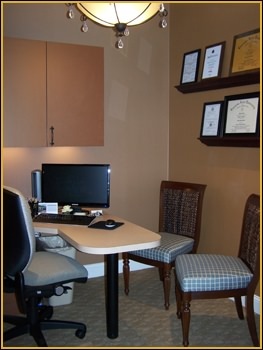 When you walk into our office, you will notice the homelike decor. We believe in creating an environment that will make your visit as relaxed as possible. 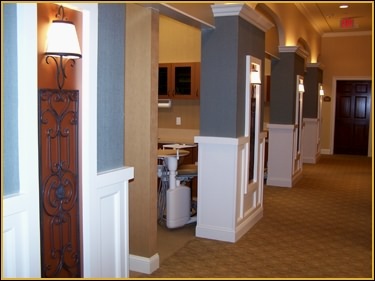 We offer state of the art technology and comfortable surroundings at every turn. Notice the absence of a sliding-glass window. We think of our patients as friends! 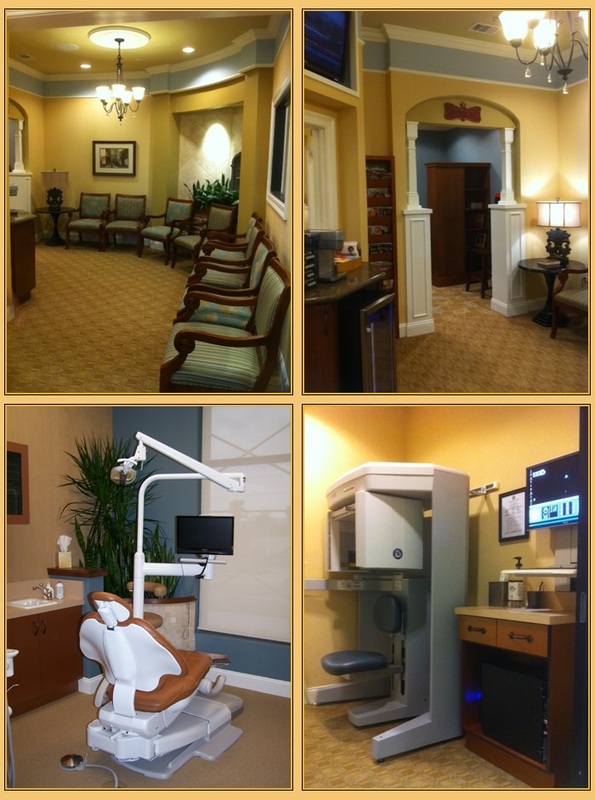 In our consultation room, we will explain any treatment that you'll need. On our large computer monitor, you can see magnified and lighted views of your teeth using intra-oral cameras as well as your own x-rays magnified to easy-to-see sizes. It's like seeing your x-rays on the television screen. This is a view of the entry hallway to our new examination rooms.